Skoda Auto being a strong competitor in the automobile industry has made a bond of trust with its customers all over the globe. This Czech Republic based automobile company was founded in 1925 by Laurin and Klement. The company, after facing several ups and downs, managed to get to the top in the list of most loved cars. Especially, Indian customers seem to be very happy and satisfied with the products and the services that Skoda Auto provides. Octavia was the first car that was built domestically and was an instant hit among the Indian market. The specialty of this automobile was that it ran on diesel which is what Indian customers prefer rather than a petrol car. Skoda Laura was another hit in the Indian market due to this same feature of the car. The look of Skoda Laura is more elegant than any other models and makes sure that you get a comfortable ride all along your way. There’s still one thing that you need to take care if you wish for comfortable rides for a long time; maintenance. 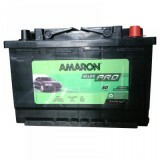 The most important thing to take care of is the battery of your car. And you should always buy from a trusted seller. 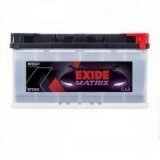 So, buy Skoda Laura battery online on http://www.everyonechoice.com/car-battery/skoda/skoda-laura-elegance-1-9-diesel. 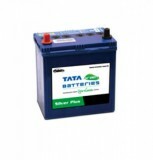 You can check online price of Skoda Laura Elegance battery in India on everyonechoice.com and rely on us.